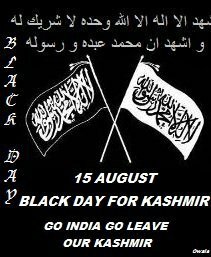 Srinagar, August 15 (KMS): Kashmiris on both sides of the Line of Control and the world over are observing the Indian Independence Day, today, as Black Day to convey to the world that the people of Kashmir continue to be deprived of their birth right to self-determination. Call for the observance of the Black Day has been given by the APHC Chairman, Mirwaiz Umar Farooq and veteran Kashmiri Hurriyet leader, Syed Ali Gilani. Complete shutdown is being observed in the occupied territory with all shops, business establishments and educational institutions are closed while traffic is off the road. The occupation authorities have made unprecedented arrangements to thwart anti-India protest demonstrations on the day imposing curfew in several cities and towns. A shoe was thrown at Jammu and Kashmir Chief Minister Omar Abdullah during the Independence Day function by a Policeman but it missed him. Black flags were shown to the chief minister and slogans of “We Want Freedom” rented Srinagar as Kashmir continued to remain on the boil. The shoe thrower, a suspended head constable according to police, was whisked away by security personnel. Srinagar: Hundreds of thousands Kashmiris attending funeral procession of a Kashmiri youth Iqbal Ahmed Khan martyred by Indian troops. Srinagar – (KMS): In occupied Kashmir, veteran Kashmiri Hurriyet leader, Syed Ali Gilani has appealed to the world community to impress upon India to stop genocide of Kashmiris and resolve the lingering dispute in accordance with the aspirations of people. Addressing newsmen in Srinagar after his release from illegal detention, Syed Ali Gilani urged India to withdraw all its troops from the territory, release all the illegally detained pro-liberation leaders and activists and revoke the draconian laws before initiating meaningful dialogue to settle the Kashmir dispute. He appealed the people of Kashmir to participate in the protest programmes in large numbers to make them a success. On the other hand, the Chairman of All Parties Hurriyet Conference, Mirwaiz Umar Farooq in a letter to the Secretary General of United Nations, Ban Ki-Moon appealed to him to appoint a representative for Kashmir in view of the grave crisis on the territory. A civilian was martyred last night when Indian troops fired upon a demonstration at Nund Rishi colony in Bemina, Two persons succumbed to bullet injuries in local hospitals in Srinagar. They were fired upon by Indian police personnel during a protest in the city, yesterday. 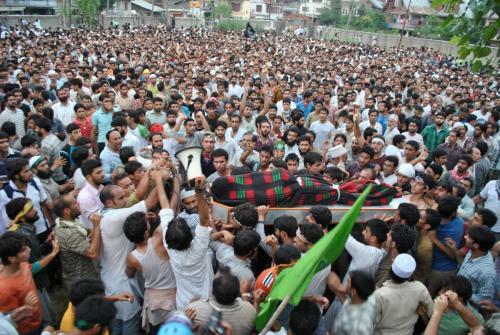 The fresh killings brought the number of martyred Kashmiri protestors since June 11 to 58. This week, the last piece fell into place. The National Research Council, part of the National Academy of Science, heavy on politics and light on science, announced that America was no longer able to track nukes threatening our shores. Their report titled Nuclear Forensics: A Capability at Risk, released last week, outlines the details of a secret study requested by the Departments of Homeland Security, Defense and Energy, specifically the National Nuclear Security Administration. The gist of the story is easy, if a nuke goes off in America, dirty nuke in Times Square, one in a container at a port, anywhere, America won’t be able to tell who made it. Not a word of the report is true. It is wild speculation and disinformation written in broad language with no hard science, written for a reason. A powerful group within the United States, one with influence over the press and the ability to derail an investigation as was done with 9/11, has been “tasked” with laying the groundwork for a terrorist attack on America, one using nuclear material. This report, unneeded, and highly inaccurate was printed in the New York Times to provide “cover.” It isn’t just this report, the pieces are falling together around the world. The Wiki-Leaks story, pre staging Pakistan’s ISI as a terrorist organization, a story built out of almost no information but fleshed out with massive speculation by “operatives” in the press is part of the process. The Defense Authorization Act of 2006 allows, “in case of a terrorist attack” for the president to declare martial law, disband congress and rule by executive decree. With the suspension of habeas corpus by the Military Commissions act, also in 2006, America as we know it officially comes to an end the second a weapon of mass destruction in used. Only then will America learn who has been pulling the strings all along, who is scripting Wolf Blitzer and Glen Beck. British Prime Minister David Cameron’s attacks on Pakistan, made from New Delhi last week, seen by most as a serious political blunder, are part of the narrative. We will get to more background on a younger David Cameron later. Another piece of the puzzle involved a federal task force, Defense, Energy, FBI, descending on a warehouse in Greenfield, Indiana under the guise of a “records search.” This “Waco style” assault on a facility storing furniture for college dorm rooms was much more than it seemed. No case, criminal or civil, provided any underlying reason for the search. Further, the bizarre tale of rumored missing nukes, illegally transported on a B-52 from Minot AFB to Barksdale AFB in Louisiana, a major Defense Department scandal, is meant to create, not only fear and doubt, but “plausible deniability” if a weapon is exploded inside the US. These, however, are not, by far, the only missing nuclear weapons America has to fear as we will get into later. Two recent attacks, the “Times Square Fizzler” and the Detroit “Crotch Bomber” were both amateurish affairs except for a couple of things. Both perpetrators had strong ties to Israeli organizations, one actually employed by an Israeli-American financial firm, the other the son of Israel’s primary partner in their defense industry complex in Nigeria. None of this was reported or investigated once discovered. It was shoved under the rug immediately. When cursory investigations of both suspects showed travel histories only possible with significant help from an intelligence agency, both stories disappeared from the news entirely. It is as though everyone involved vanished from the face of the earth like the second person arrested in Detroit or the “well dressed Indian” who aided the “Crotch Bomber” onto the plane in Amsterdam. “In the 230-page book, Shapira and his co-author, Rabbi Yosef Elitzur (The King’s Torah,currently Israel’s best selling book) argue that Jewish law permits the killing of non-Jews in a wide variety of circumstances. They write that Jews have the right to kill Gentiles in any situation in which “a non-Jew’s presence endangers Jewish lives” even if the Gentile is “not at all guilty for the situation that has been created”. This rationale allows deadly force to be used against Christians if their deaths advance the cause of Israeli security even if only through economic profit. Thus, if an attack such as 9/11 were to lead to America fighting wars against enemies of Israel or if, as in Afghanistan, Israeli companies were to profit from weapons or narcotics sales, any deaths of gentiles, no matter how innocent, would be justified by Jewish law as stated in the Torah. Were an attack on the United States to bring that country to war against Iran, even if that attack were perpetrated by Israelis, it would be legal according to Israeli law, the same law being relied upon for justice in the attack on the Mavi Marmara. More often however, attacks on Israel itself are believed to have been staged, not only to instill the population with fear and rage but to continue the “holocaust” tradition of Jewish victimhood as a justification for policies that have led to 62 vetoes in the United Nations by the US, vetoes against sanctions imposed against Israel for violations of international law. We expect increased attacks on Israel, quickly tied to Hezbollah and Iran, attacks that will either involve no casualties or the deaths of either foreign workers or Russian emigres. This pattern has been used repeatedly, such as the March 18 “attack” killing a lone Thai ”guest” worker time to coincide with the visit of the European Union’s high commissioner for security, Catherine Ashton, a critic of Israel’s apartheid policy in Gaza. When the US and Israel released Sharam Amiri, alleged Iranian nuclear scientist, we learned one thing. There is an inventory of Muslims, perhaps arrested, perhaps kidnapped, maybe lured into custody, rendition, imprisonment or “cold storage,” whatever you want to call it. Each one has an elaborate “legend” built around them, describing them as a “lone gunman” or “terrorist mastermind.” This is the group that will supply the names and photographs we will see after the next terror attack. “Press clips gathered by the CIA and discovered in the National Archives’ stored CIA files point to an agency keenly interested in any leaks about the highly-classified CIA-Mossad program to establish Osama Bin Laden and the most radical elements of the Afghan Mujahidin as the primary leaders of the anti-Soviet rebels in the 1980s. Will “PakMil” recognise the real foe? It is ISI bashing time again and this comes easy for the Western and Indian media especially, but also for the media at home since the ISI has figured as a larger than life organisation since the US-led war against the Soviets in Afghanistan. And undoubtedly the ISI has at times been highly controversial in the activities it has undertaken especially domestically. Both during period of civilian democracy and military rule, the ISI has been used by those in power and even today the ruling party is not devoid of this temptation, unfortunately. Of course, like all intelligence agencies with an external agenda, such as CIA and RAW, the ISI has its own external agenda. But it needs to also be understood that the ISI is not an independent entity and the decision-making hierarchy of the organisation comes on routine postings from the military, primarily the army. So its external activities reflect the policies of the government, but especially the military. Be that as it may, post-9/11, the ISI has had to pay for its past sins in seeing itself demonised by the US and India – even though the former is supposed to be an ally of this country. Every time the chips are down for the US in Afghanistan, somehow or the other the ISI is lambasted by “leaks” to the Western, especially the compliant US media. It would appear that the CIA’s failures, as well as the US and NATO military failures, are all a result solely of the ISI! Now if only the ISI was really so effective, efficient and powerful, India’s occupation of Kashmir would have ended and Afghanistan’s future would have been moulded according to its desires! Unfortunately, that is not the case and the ISI is as riddled with inefficiencies as any large bureaucratic organisation is, but undoubtedly, it has better ground intelligence in this region than the US and its CIA since the latter has a blunderbuss approach to human intelligence gathering and has no sensitivity to nuances of any kind. Be that as it may, the latest round of ISI bashing rather obviously sponsored by the CIA to hide its own failures in Afghanistan, once again, has come with the WikiLeaks’ story. Apart from The Guardian newspaper which showed some healthy scepticism about the leaked information, for the biased US media like The New York Times this was a journalistic feast – enough to feed the deep-seated anti-Muslim and especially anti-Pakistan bias that now dominates the American media. But let us get some facts straightened first and one has to concede that WikiLeaks itself is credible anti-war site. But what the media has done in terms of factual distortions of even these unverifiable leaks is dangerous and cannot simply be ignored by Pakistan because we are once again the targets. First of all, the leaked documents are based entirely on field reports filed by a variety of operatives in Afghanistan, allegedly primarily belonging to the Northern Alliance. Second, out of the 92,000 leaked documents, only 180 contain ISI references and of these only 30 mention the ISI in negative terms regarding Taliban-supporting activities. Third, of these 180 documents with references to the ISI, most of these reports have a disclaimer by the author at the end where the source was referred to simply as an “informant” and it was stated that this source was either not reliable or working only for monetary gains for either the Afghan intelligence, Indians or Afghan warlords! Or else the source was referred to simply by initials! Interestingly where the ISI is mentioned, it also states in the disclaimer that the information cannot be verified and therefore cannot be “used to make policies” (all this is on the website). So where does that leave the actual content of these leaked reports? Officials in Pakistan are convinced that the CIA, when it found out about the leaks, sought to divert the expansive details of its own failures in Afghanistan by shifting the focus on to the ISI – a favourite bete noir of the Western media. According to WikiLeaks the source for the leaked documents sought to prevent the publication of some of them for fear of sensitive information! There is also a feeling in some quarters that the CIA has deliberately chosen to once again target the ISI because of the rising anti-war tide within the US. Most observers in the know now recognise that the US and NATO have lost the war militarily in Afghanistan and bad intelligence is certainly one of the causes. So what better way to escape blame than to put everything on the ISI. The timing of the “leaks” is not without purpose. In accordance with the chalked out plan, terrorism was intentionally pushed into Pakistan to destabilize the country. The two extreme flanks of Pakistan , FATA and Balochistan were inflamed to make things difficult for Pak Army, fundamentally poised to guard eastern border. 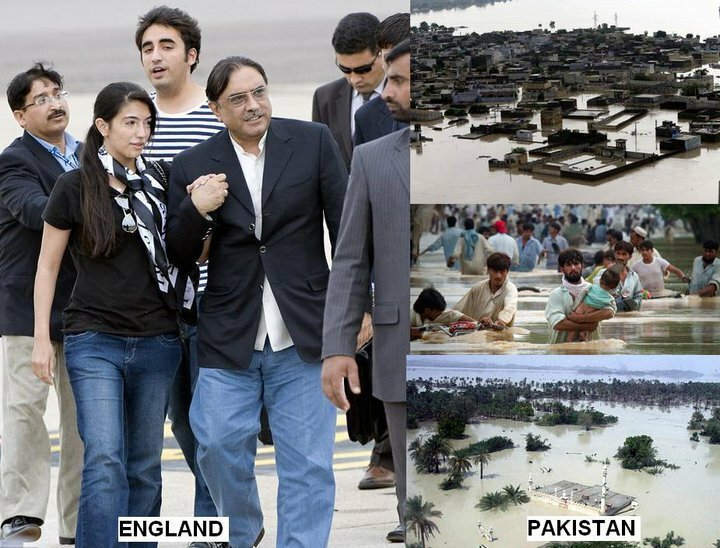 Apart from CIA and FBI gaining a strong foothold in Pakistan under the pretext of chasing and nabbing terrorists’ right up to Karachi , the US Administration increased its influence inside Pakistan so comprehensively that Boucher and Negroponte started to micro manage its domestic affairs including local bodies’ elections and 2002 general elections and reduced the parliament into a rubber stamp. American intelligence agencies helped RAW to make inroads in trouble spots. Pakistan was first harried on account of nuclear proliferation in 2004. Hue and cry was made over AQ Khan Network, and Iran and Libya put under intense pressure to establish a connection. Although Pakistan refused to make available Dr AQ Khan for interrogation after he made a public confession under duress; Pakistan inadvertently accepted that nuclear proliferation had taken place. It assured USA and IAEA that network had been effectively disabled. Pakistan thought that the matter was closed but it was never let off the hook and its nuclear program came under unceasing vicious smear campaign. After 2005, The US began to change colors and became more intrusive and difficult. This change occurred because of resurgence of Taliban in southern and eastern Afghanistan , development of Gwadar Port with Chinese assistance, Iran-Pakistan gas pipeline project, and Pakistan economy getting robust. Pakistan was whipped by USA , India and even landlocked Afghanistan holding it responsible for their difficulties in Afghanistan . Pakistan bore the pain of whips and degradation to ensure US support and flow of US dollars. Pakistan kept chasing the faceless enemy without a comprehensive plan, intelligence, low intensity conflict training, counter terrorism equipment and motivational program. These shortcomings became serious impediments in tackling terrorism and allowed the Tehrik-e-Taliban to gather strength and expand its influence. Having sufficiently embroiled the Army in war on terror and weakened its institutions the US started to inch closer towards achieving its goals and became more demanding. It repeatedly asked Pakistan to do more without compensating it for the immense sacrifices it was rendering. Instead of rewarding Pakistan for taking the main brunt of war on terror, the US awarded India in the form of lucrative civil nuclear and defence deals, well knowing that instead of curbing terrorism India had inflamed it through covert means. Ironically Pakistan didn’t raise even an eyebrow on this grave development. Its lackadaisical stance resulted in materialization of Indo-US nuclear agreement in 2008. After vainly trying to put the ISI under Ministry of Interior in August 2008, the US exerted extreme pressure on Pakistan leadership to let its military intrude into FATA. Several aerial raids, artillery fire and a ground attack in Angoor Adda in September 2008 were carried out. 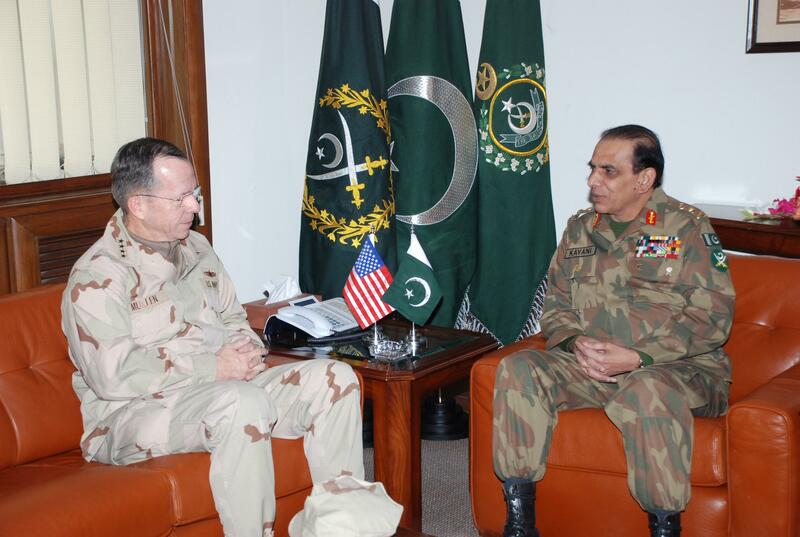 These blatant intrusions indicated American growing impatience and their desperation to directly meddle in Waziristan . While Pakistan gave its tacit approval to drone attacks since this understanding had already been given by Gen Musharraf, Pak military under new commander Gen Kayani did not agree to the proposal of joint operation or any unilateral action and took a firm stand. Had this proposal been ceded to it would have amounted to allowing the head of a camel to enter the tent. Entry in FATA would have encouraged US military to keep creeping forward and to gradually envelope whole of Pakistan under the pretext of striking non-state actors. Mention of Quetta , Peshawar and Karachi as hiding places of high profile terrorists and main base of Al-Qaeda in FATA and Taliban Shura in Quetta exposed its intentions. While attitude of US officials became belligerent, Indo-Israeli-US propaganda campaign became fiercer. Mumbai drama was stage managed on 26 November 2008 to give an excuse to India to heat up eastern border. Throughout 2009 India remained in a highly offensive mood. Pakistan’s policy of appeasement was taken as sign of weakness and subjected to unabated pressure to make Pakistan agree to Indian unfair demands of proceeding against suspects without evidence and to dismantle Indian specific terrorist network. The US instead of acting in a fair and unbiased manner brazenly supported Indian stance. None of the accusers took into account the hard fact that Pakistan had suffered as no other country in the world had from foreign sponsored terrorism. Its economy suffered a loss of over $45 billion and it lost over 8000 lives in the blowback of the militants in retaliation to military operations. Pakistan bore maximum brunt of foreign sponsored terrorism during the years 2008-09 and is still suffering. After targeting Peshawar incessantly, Lahore is the current target of RAW. From March 2009 onwards, dozens of terrorist and suicide attacks have taken place in capital city of Punjab and hand of RAW was visible in each incident.